For the most passionate of beer connoisseurs, October is the most wonderful time of the year. We start first by Oktoberfesting, but then we get down to serious business. 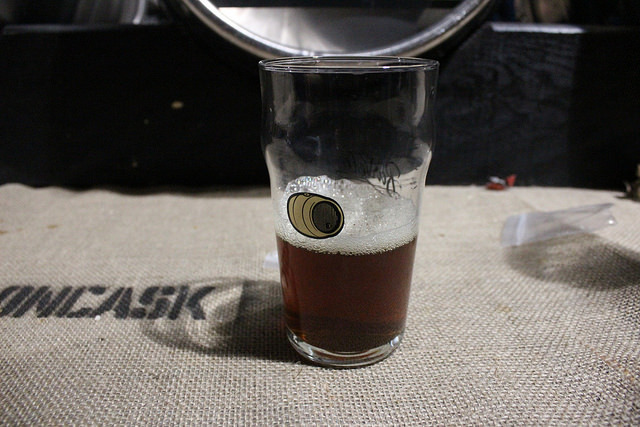 While the countless other beer events we’ve covered do provide copious sampling opportunities, Cask Days is a very specific experience for the dedicated drinker. Brewers come from all over Canada and even the world to present us with unique once-in-a-lifetime tastings. Founded in 2005 by local favourite barVolo. 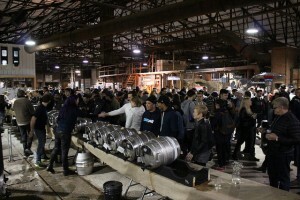 Itself known for a dedication to local and craft beer, barVolo has reached out to brewers from across Canada and beyond – this year California was invited to be an international highlight. While we are able to get a lot of craft beers locally thanks to the LCBO, for some of these breweries it may be the first chance they have to reach new customers. It’s also the opportunity to treat their current fans to flights of creativity. Casked beer provides a completely different experience from bottled, canned or draft beer. 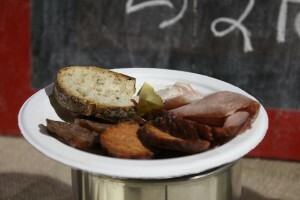 It harkens back to the original days of beer production when often times fermentation finished right before consumption. Brewers will produce small batches and then, to our city’s delight, ship them to Toronto for us to flock around and try. Between the short shelf life and the small batches it can in many ways be a once in a lifetime experience to try some brews. For the brewers it is both the opportunity to showcase their products and to experiment without expending great quantities of resources. You can try some brewery classics, or be one of only a few to experience something brand new and extraordinary. 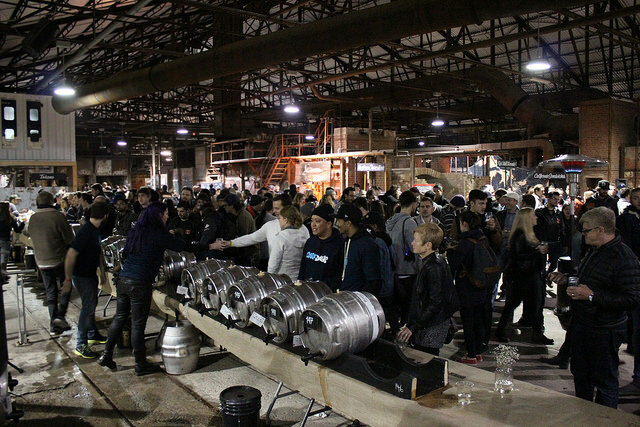 Cask Days is a boozy takeover of the Evergreen Brickworks, which this year barVolo was specifically supporting with some of the proceeds. 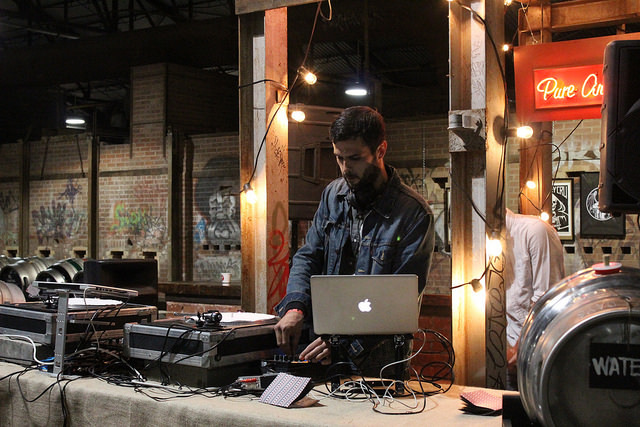 The Brickworks is a gorgeous event space that provides cover for guests as well as blessed airflow to allow for a large, unstifled crowd. 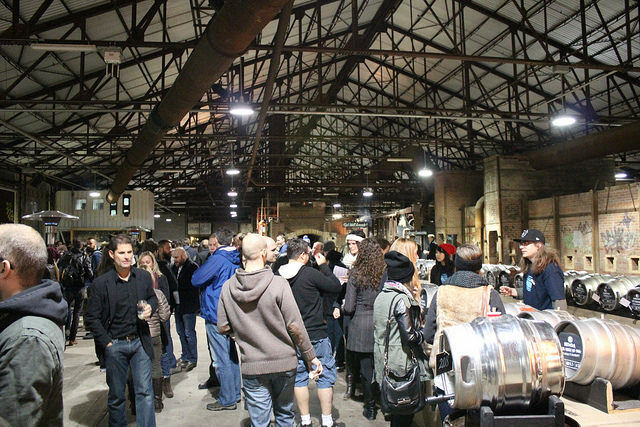 There were over 300 casks around the space, but they were well spaced out so that there was very little jostling of other patrons. Each cask station had a few attendants, and you would order your selection by the cask number. 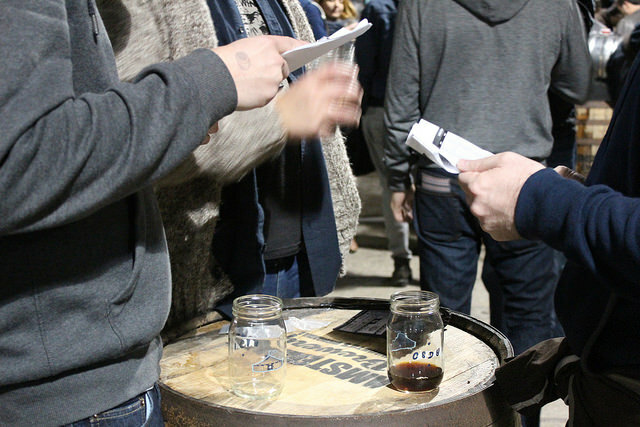 To avoid people frantically running around trying to choose their drinks, Cask Days provides the cask list online in advance, and at the venue in a little guide book. 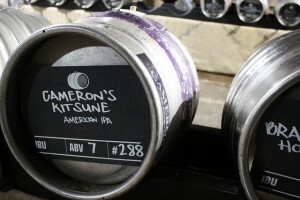 The offerings are sorted by region, and listed by brewery name, beer title, and its style or key ingredients. 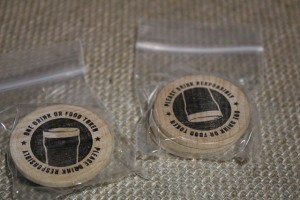 Samples are procured with tokens, with 5 oz for 1 token, or 10 oz for 2 tokens. 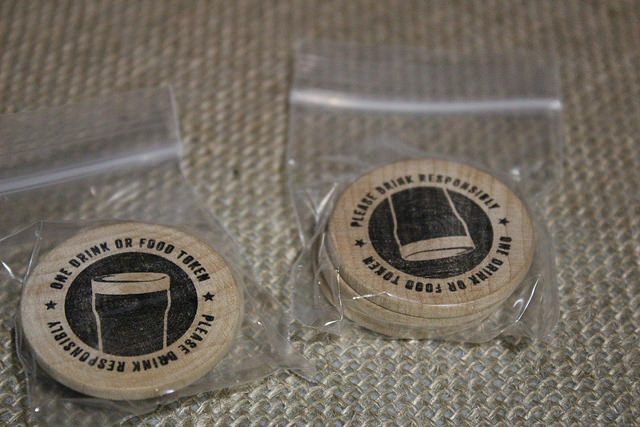 A 5 oz sample isn’t huge, but one token is only $2.50, and it’s more than enough to properly experience a beer. Also with the sheer volume of options you probably want to leave yourself free to try as many as possible. One friend of mine tried over 40 different beers! This is also a great showcase of some pretty clever product names. 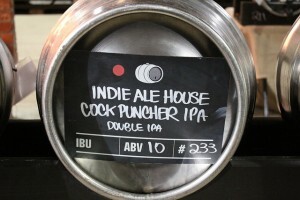 Some examples include California’s Noble Aleworks, presenting a milk stout called Cinnamon Roast Crunch, or Coronado‘s Punkin Drublic pumpkin ale. The event also showcases local food and music as well, so it’s a very Toronto event. 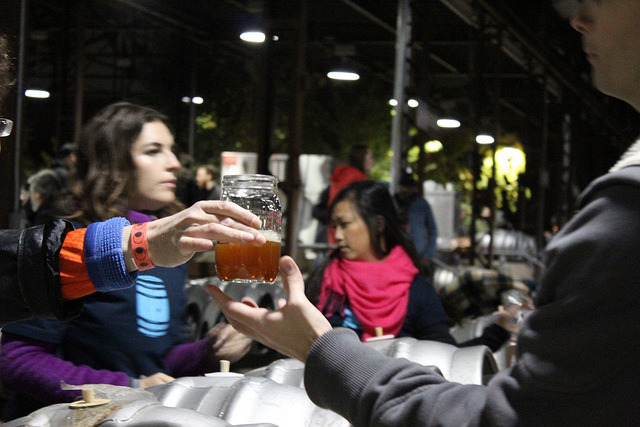 Cask Days runs in set set sessions for which there are specific tickets. And I’m sure the cynical among you are wondering what the point would be in going on a Sunday – surely all of the beer is gone by then! But don’t worry, they’ve got it all figured out. 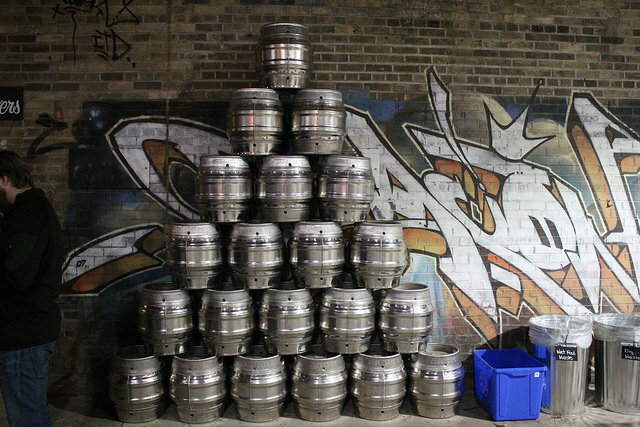 While some casks truly are first come first served, its noted which are set for which session. The contents of others are carefully tracked, and the cask is capped once they have used up 1/3. This helps to keep availability fairly even so one session doesn’t run dry. This is good since admission costs the same regardless of when you attend. There is one perk to arriving last though – a Last Call ticket for $5. All in atmosphere of this event is quite different from others. While you can’t help but get buzzed the focus is less on quantity than on quality and variety. 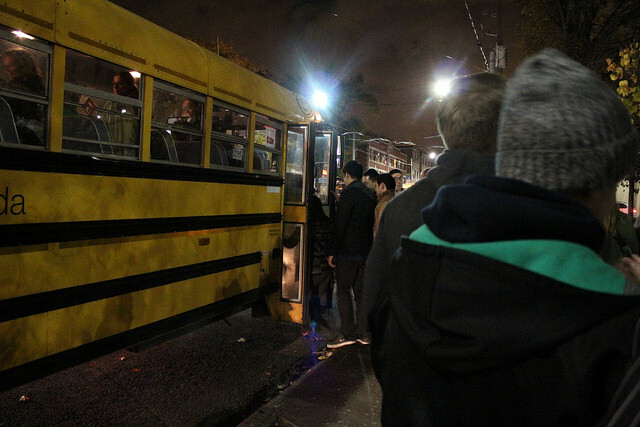 The organizers are also incredibly cognizant of the relative remoteness of the location and provide a shuttle service to/from the subway. That way the crowd is able to safely enjoy to their hearts content.